We have a little bit of a cordcutter theme today! If you are an Android user, the Google Play Plenti Gift Card promotion is coming back at Rite Aid stores during the week of January 31 until the close of business on Saturday 2/6/16. You buy a $25 Google Play Gift Card and you receive 500 Plenti points. That’s the equivalent of $5 you can use in future purchases at Rite Aid, Macy’s, Exxon-Mobil, and more. 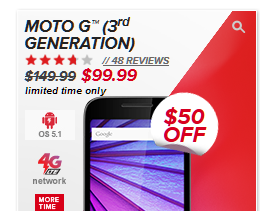 It’s essentially a 20% off discount on everything you buy at Google Play using this amount. Unlike iTunes (a bit ironic considering Apple’s crazy profit margins), Google Play rarely has sales on their gift cards. So this is a good opportunity. 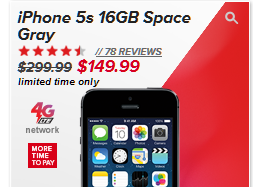 The promotion is “limit two” during this promotional period. I’ve done this a couple of times in the past, and it works like clockwork. A pretty good way to buy Season Passes for TV shows if you are a cordcutter, or any other digital content (apps, music, ebooks, movies, etc) from Google Play. NOTE: Google Play Gift Cards CANNOT be used to purchase hardware from the Google Store or subscriptions through Google Play (eg their Music service). Those have to be charged to a credit card. I don’t know why they have this restriction, probably to keep us spending more, because if a subscription or hardware purchase empties your gift card balance, you are less likely to make digital content purchases? NOTE #2: if you are not familiar with the Plenti Rewards program, check our earlier introductory post. If you are like me and have jumped on the Cordcutting Bandwagon (I even picked up a $30~ OTA DVR (check my unboxing blog post on it, with a lot more coming up), you may be thrilled to learn of a new pro-Cordcutter development. If you purchase a Season Pass of the Mercy Street Season 1 show, you will be able to watch the last three episodes BEFORE they air on TV. The season pass is $15 in HD or $10 in SD. If you are interested in the show, but don’t want to pay, but you are a Prime member, new episodes are added to the Prime Video Library seven days after their air on TV. This is part of Amazon’s larger Prime deal with some of the PBS shows. NOTE: this offer is only available if you purchase the whole Season Pass, not if you purchase the episodes individually. Season Passes have changed over time, you now prepay the whole season ahead of time. The price total typically includes a discount over buying the episodes individually. For some of the 10-episode seasons, for example, you pay $25 (HD) for a Season Pass versus $30 if you buy them individually. There are Square card reader free-after-purchase type of offers at many retailers, but most of them give you the purchase price back as a Square credit. 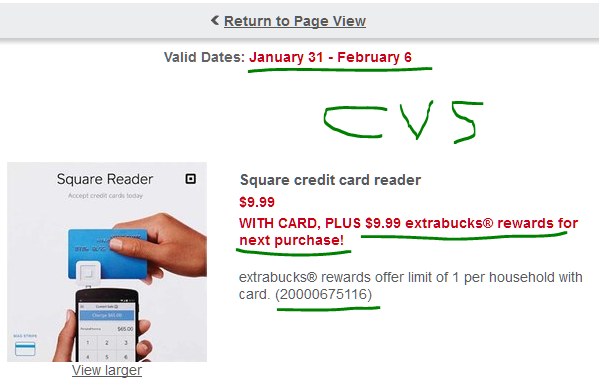 If you want a faster way to get your money back, for the week of January 31 until the close of business on Saturday 2/6/16, at CVS brick and mortar stores, you get $9.99 Extrabucks if you purchase the Square Reader for $9.99. The Sales Tax, if applicable, is NOT refunded. This is limit one per household. You have to be a member of the CVS Extrabucks rewards program to take advantage of the offer. 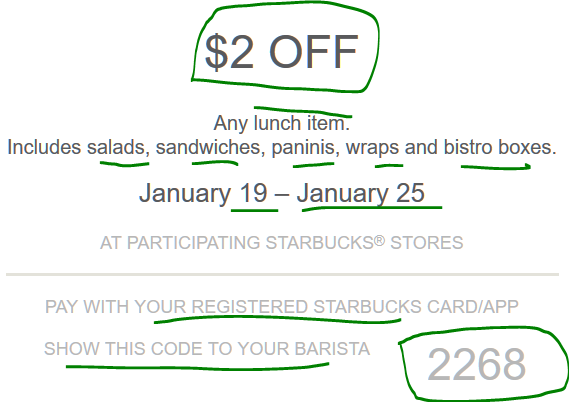 If you are a Starbucks Rewards member, check your emails for yet another bonus stars promotion. This is a “buy two” type of an offer. If you buy two of the same item between January 26 and February 1 (2016), you will earn six bonus stars, in addition to the regular one star per purchase. There are three options, you have to get two from the same category to earn the six bonus stars. According to the email, you can only earn 6 bonus stars once from this promotion during the promotional period. The bonus stars will be added to your account by February 12. Do keep an eye out for them though since their system is a little bit buggy. They also still struggle with some stars not showing in the app (they remain as “purchases” in the Transaction History of the app), but their customer service assures us that they count. I am not keeping that detailed level of star accounting, so I am assuming they are correct. TIP: if you are not sure which one of their sandwiches are considered “breakfast”, check the menu in the Starbucks apps. You can also find it under the “Mobile Order”. Typically it is the muffin-esque items. They are often clustered together in their displays but not always. The Staples free reusable bag coupon is back for the week of January 24-30 in 2016 at their brick and mortar stores. It’s the usual offer, you get a free bag (from the color choices they have available in store) and at the same time you get a 20% off discount on everyday office supplies you can fit inside the bag. These are two separate coupon codes that the cashier has to enter in their system. A lot of people do this, so usually the cashiers can do it quickly. The usual restrictions apply, you can’t use this on tech or gift cards or sale items and things like that. You can find all the restrictions on the coupon itself. You can preview this (before Sunday 1/24/16) by checking the “Upcoming Week” ad at the Staples website. If you are looking at this after that, it will be the default ad for the week. So even if you don’t want anything else, scoring a free bag is good enough if you don’t have to go out of your way to get there. These are pretty good bags. If you are a member of the Starbucks Rewards program, there’s a new promotion running now until the close of business on Monday 1/25/16. This offer requires the use of a promo code, you must show or mention code 2288 to the barista. This will get you $2 off the purchase of any lunch item. Please note however that the breakfast muffin-style sandwiches (eg “sausage, cheddar and egg” muffins) do not quality as lunch items. You can check the menu on their website or more conveniently using the Starbucks apps to see exactly what is filed under Breakfast vs Lunch. 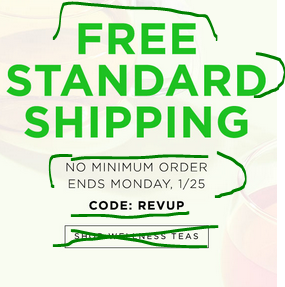 The holidays are over, January is clearance month, and as such, Teavana wants to encourage more sales, they have now launched coupon code REVUP that gets you free (slow) shipping on all orders, no minimum purchase amount required. The coupon is good until the end of day on Monday 1/25/16. IF you are already have favorite items, you know where to find them, otherwise, a good place to start is to check their permanent sales page. You can sort the options by high or low price if you want to quickly check. Among them, as of the time of writing, they have three different tea tins for $3 each. TIP: when reading about tea tins, keep in mind, that the number you see is volume, not weight. That’s because weight varies from tea to tea. Some teas are featherweight, others much heavier. Volume on the other hand, is the same regardless. So an 8oz tea tin will hold 8oz of water. How much tea, it depends on how fluffy/heavy it is. 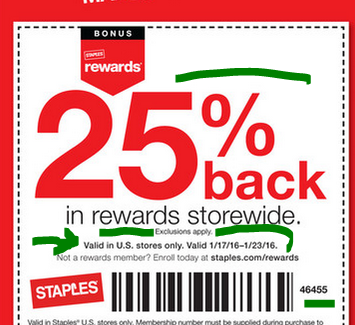 For the shopping week of Sunday January 17 until the close of business on Saturday January 23 in 2016, at Staples brick and mortar stores in the USA, they have a coupon code (46455 – see screenshot of weekly ad below) that gets you 25% back in Staples Rewards for many (but not all of your purchases). Google is running ads across the internet with a new coupon promotion for their Google Express local delivery service. 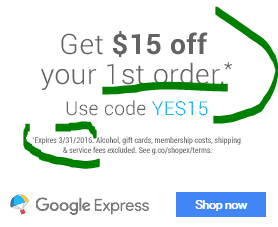 If you have never used the service before (it is a “first order coupon”), coupon code YES15 gets you $15 off your order. The coupon is good towards merchandise but not gift cards or membership (eg no Costco membership can be paid with this), or other shipping and services costs or fees. According to the tiny fine print on the coupon ad (a screenshot of that is above in this post), the coupon expires 3/31/15, so you don’t have to rush to use it – just wait until you need something expensive from a local store. Delivery is free if you sign up for a free trial or for with a paid GE membership. If you have a Samsung Galaxy device, depending on which one and when you bought it, you may be eligible for a free Kindle e-book per month, typically from a choice of four e-books, either for 1-year or as long as you have the device. The featured ebooks are almost always part of the Kindle Unlimited program, so if you are subscribed to that, that’s another way to get those ebooks. To get them, you need to download the Kindle app from Samsung’s own Android app store. Not the Google Play, not the Amazon App store. But the one from Samsung, whatever name it has now – I think it’s Galaxy App store but who knows they may have changed it yet again 🙂 Once you download it and login with your Amazon account, if you are eligible, one of the options in the left hand side menu are the Samsung Book deals. TIP: do not get an ebook unless the price you see is $0.00. If the price is not $0, you will be charged! If you just signed up, wait for a few minutes for things to sync up or restart the app or the device to force a sync up. UPDATE 1/21/16: this made a brief appearance earlier in the week, but it is sold out again… I procrastinated getting it and missed out 🙁 I will let you know if it re-appears since they have a free shipping coupon good until 1/25/16 PM. It’s a new month, and that means, among many other things, if you are a Prime member, you can a get a new free e-book before the rest of the world. January 2016 brings six different choices. You get one for free now. The rest of the books become available for everyone February 1st. They are all pre-release now. If you are not a Prime member, you can buy one of the six right now for $2. 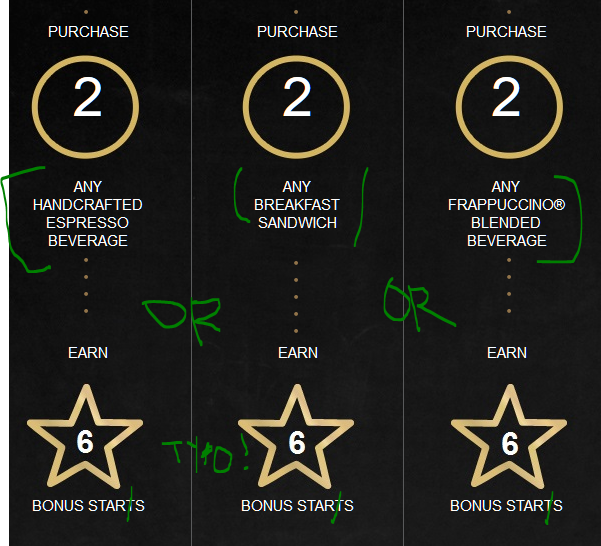 This is an easy way to score a bonus star with every purchase at Starbucks if you are part of their Rewards program. Earlier today they launched a new promotion, sent to eligible members via email. Between January 6-19 in 2016, for every Mobile Order you place, you will earn a bonus star. This is in addition to the regular star you get from every purchase. The Mobile Order is fairly elaborate, so you may be able to recreate an order even if it’s not as simple as a cup of coffee. Heck, you can even place a mobile order while you are in the store in-line or in the parking lot. This is a neat trick if there is a long line ahead of you 🙂 When you place a mobile order, a little printer prints it at the register, and it gets in the drinking-making queue right away! It looks like we are having a quarterly face-off between Discover and Chase in Q1 of 2016. We already mentioned that Discover’s Q1 5% Cashback is Gas and Ground Transportation services, and guess what? The same category is also offered for Chase for the same time period (January 1st through March 31st). The usual limit of $1500 per quarter per credit card applies. As you can (barely) see above, this is not just gas, but also a variety of other transportation services, including buses, trains, taxis, and subways. But not everything is covered, for example, Amtrak, parking fees and tolls are EXCLUDED! Check your account page for more details.